Mahamudra is the basic meditation practice for many Tibetan Buddhists, particularly of the Kagyu tradition. It is particularly adaptable for modern people, since it involves no rituals and can be incorporated into all daily activities. 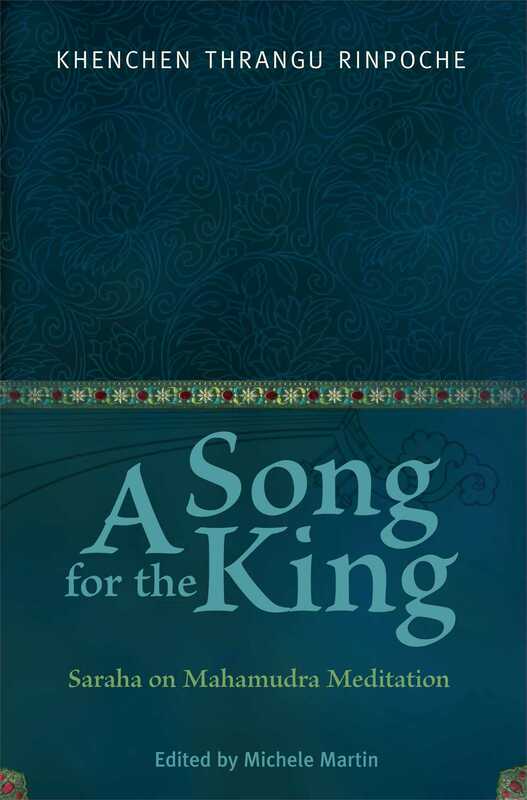 Saraha's "Song for the King" is a short verse text from classical India that is a basis for the tradition and is widely known in Tibetan Buddhist circles. It is often the basis for teachings given in the West, but there is only one outdated translation of it in print, first published in 1969. Michele Martin has produced a stellar new translation, which is accompanied by a commentary from the well-known teacher Khenchen Thrangu Rinpoche, who is uniquely skilled and concerned with making this method of meditation available to Westerners. While pithy and accessible, the book easily stands up to academic scrutiny, and includes the original Tibetan as well - making it ideal for the popular, scholarly, and Tibetan audiences all at once.